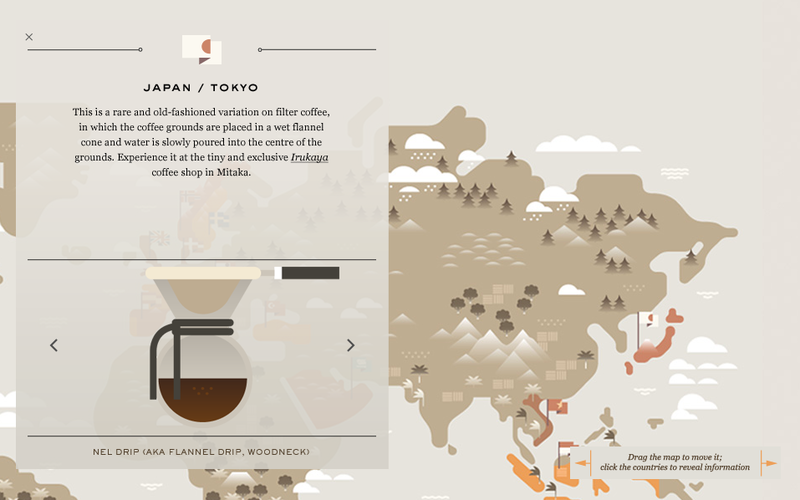 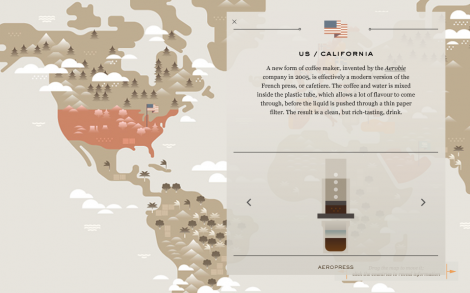 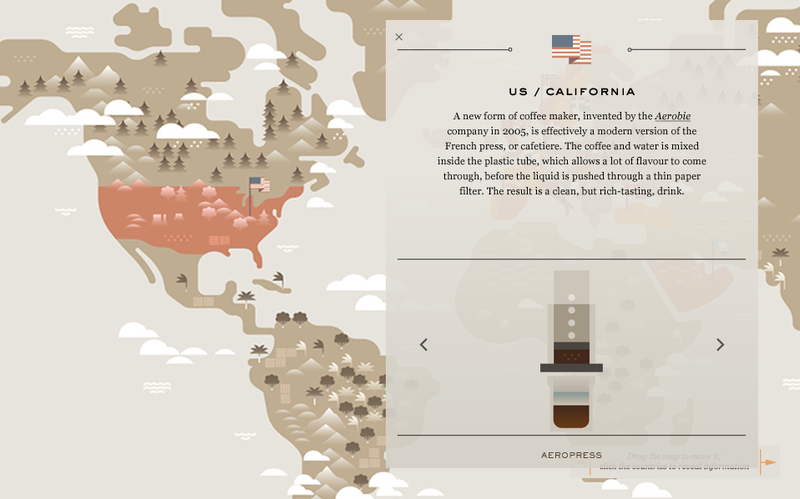 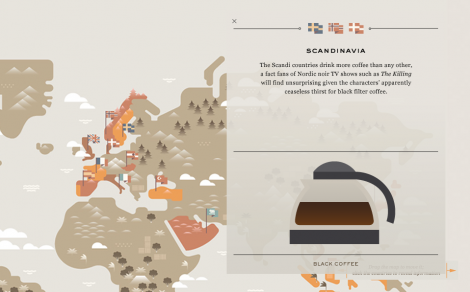 Mr. Porter, an online retailer of high-end menswear, published a lovely interactive map of global coffee trends this summer in the journal section of their website. 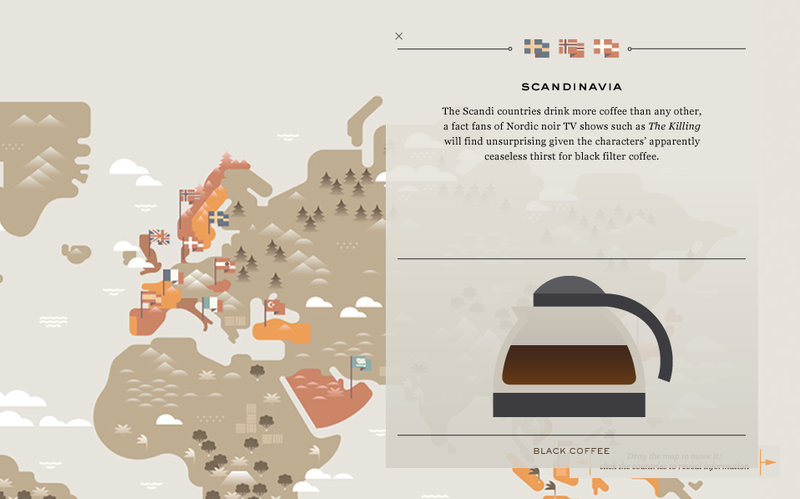 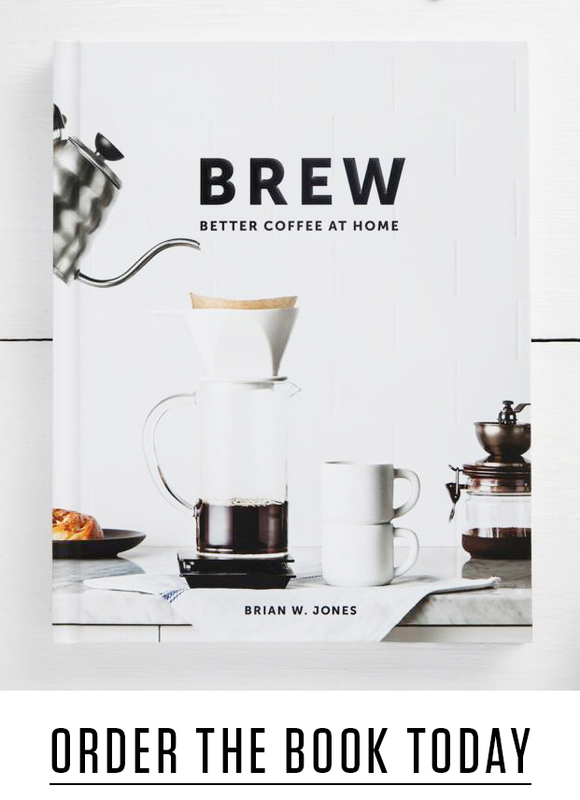 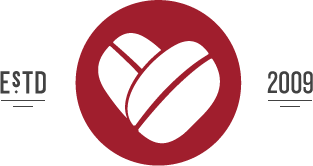 You can glide around the map and read tidbits about each location’s coffee culture and brief summaries of various brew methods and coffee drinks. 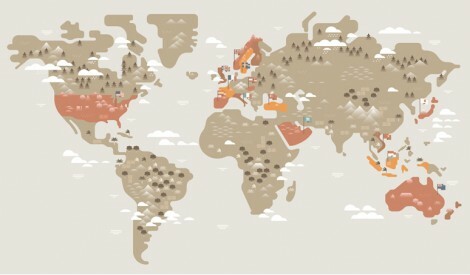 The illustrations were done by some of my favorite designers at Hey Studio in Barcelona, Spain. 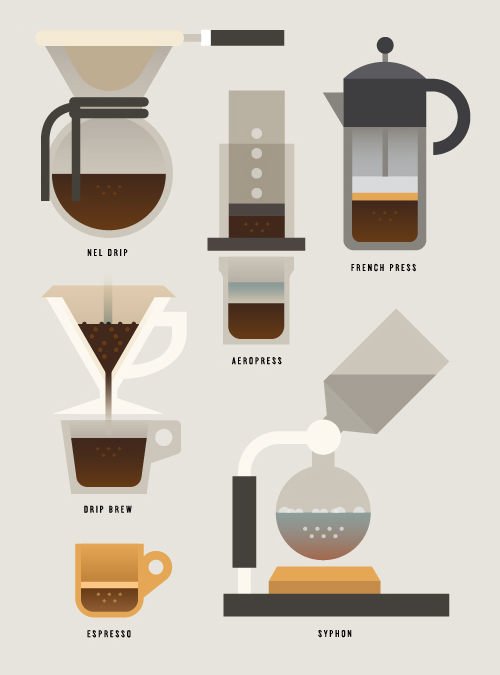 Their simple geometric style illustrates twenty-nine different drinks from around the world, from the AeroPress to the Ten Belles. View all the illustrations and explore the map at Mr. Porter Journal.